New service implemented – Directory of vendors and service providers for higher education. To meet the new and rapidly changing demands facing today’s higher education managers and leaders – from department chairs to trustees – this book offers guidance on how to effectively discharge their responsibilities and how to develop their skills for managing their relationships with internal and external stakeholders. Description: A collection of questions that a hiring manager may ask references provided by a candidate for a job such as a faculty position. Part of the set of documents supporting the Building a World-Class Faculty article. Higher education faces a looming demographic storm. Decades-long patterns in fertility, migration, and immigration persistently nudge the country toward the Hispanic Southwest. White paper outlining the major challenges that should be addressed by a committee when considering the teaching/course evaluation process. Please note: To access this file you must have a free account with the HELLO Community – registration information is provided below. The following events have been added to the HELO Community aggregated calendar which lists events hosted by many organizations across the World. Visit our calendar for more information, to comment, and share on social media. 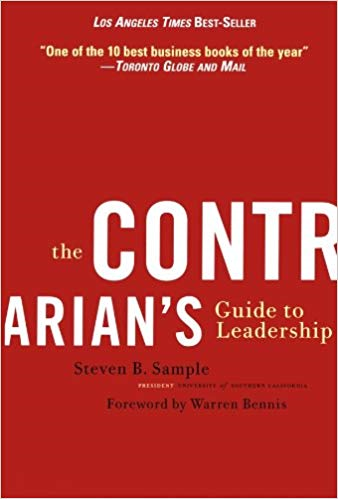 In this offbeat approach to leadership, college president Steven B. Sample-the man who turned the University of Southern California into one of the most respected and highly rated universities in the country-challenges many conventional teachings on the subject.